When your accounting software runs smoothly, it does not get much attention – and that’s what you want! Your accounting office is a critical component of your school. Your accounting software must provide accurate, up-to-the-minute information to a range of stakeholders. Parents need clear and accurate billing statements, department heads need to check on the status of budgets and purchasing, and board members and leadership need professional financial statements. 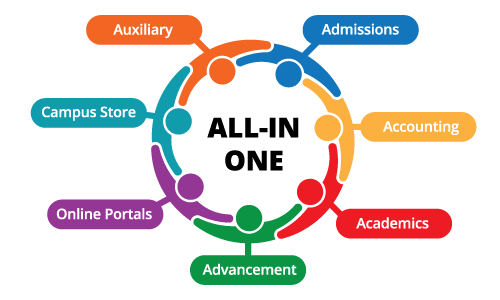 The Ascendance Accounting suite offers efficiency and productivity, along with tools to collate real-time, accurate data and communicate it to all departments of the school in an appropriate format. The Business Office module includes Accounts Payable, Accounts Receivables, and the General Ledger. ✓ Complete integration with Accounts Payable, Accounts Receivable, General Ledger, and other Senior Systems solutions. ✓ Quickly enter charges by student or by group, with separate balances for tuition and incidentals. ✓ Produce clear, understandable statements by student or by family. ✓ Easy to set up and administer tuition billing schedules and payment plans. ✓ Summary and detailed reports to review aging, overdue amounts, and student account data. ✓ Quick and easy entry for invoices and purchase orders. ✓Produce customized checks, with remittance details and check register. ✓ Summary and detailed reports to manage cash flow, produce 1099s, and review purchase order status. ✓ Manage and track up to 9 funds and unlimited accounts and sub-ledger accounts. ✓ Extensive reporting, analysis, and data export capabilities. ✓ Easily create single or multi-fund financial reports.